It should not have taken a leak of Donald Trump's 20-year-old tax returns to highlight what's wrong with America's tax system. U.S. citizens have felt the acute unfairness for decades. Who hasn't looked at their tax refund and wished there were a way to escape the burden? The way the tax code is written now, people like Trump — and all other Americans who suffer through a year of business losses — are allowed an escape. They get to deduct the amount of their business loss from future tax liability. Trump did not break any laws when he claimed a reported $916 million in business loss two decades ago. He took advantage of what any other businessperson who went through a rough patch was afforded. Granted, his write-off was much bigger than most. But let's get past Trump's taxes. Let's talk about the system itself. The tax code we all labor under was first put together in 1939. There were some major revisions added in 1954 and 1986. And naturally, it has been tinkered with over the years. At last count, the Internal Revenue Code is about 4 million words long. It is so full of archaic and inane regulations that I dare say there isn't one person in Washington, D.C., who can be considered an expert. It's time for a complete overhaul of the U.S. tax system. Like many Americans, I cannot decide who to vote for in November's presidential election. To put it in the nicest terms I can muster, both Hillary Clinton and Donald Trump lack the attributes I want in a commander in chief. But if either come up with a concrete proposal to make our tax system more simple and equitable, I'm there. Here's a few starter suggestions. First, let's go after everyone who owes back taxes and, if possible, get them to pony up. What a concept! It was reported last year that government workers and retirees owed a collective $3.5 billion in unpaid taxes in 2015. Gee. It's not like Uncle Sam doesn't know where the employees work! Next, a newly released study of Fortune-500 companies concludes that trillions of dollars in corporate earnings are currently being held in offshore accounts and sheltered from U.S. taxes. According to three consumer and taxation groups, if all those companies paid up on their protected profits, the U.S. Treasury Department would get a stupendous $717.8 billion windfall. That's a lot. But our deficit is currently running at almost $20 trillion. Only Trump seriously discusses the need to get American companies to stop this tax dodge. But he fails completely to explain how he would change things. And finally, since my space here is limited, I will offer up my favorite idea: a flat tax — an across-the-board tax on individuals and profitable businesses. No one gets away with paying nothing. Add in a break for families under the poverty line, but have everyone else pay, say, 10 or 15 percent of their earned income for the year. To my mind, the only palatable exception would be the mortgage interest deduction, since that is already calculated in to the price of a home. Imagine more Americans chipping in, no one able to skirt their tax responsibility. This way, the system couldn't help but be more equitable. This would require a complete overhaul of our massively complicated tax system. I wonder whether there is a politician who has the guts to propose and push through such a program. It could be one of the most important economic stimuli this country has ever seen. But we have two candidates who have forgotten what it's like to live paycheck to paycheck. Trump says he is worth hundreds of millions — or is it billions of dollars, or gazillions? No one knows for sure. And we still might not be able to figure it out even if he were to release his full income tax returns. Clinton once famously moaned that she and her husband left the White House in 2001 "not only dead broke, but in debt." The Clintons are now worth an estimated $110 million. I'll bet dollars to donuts that both the Clintons' and the Trumps' tax preparers take advantage of as many IRS loopholes as legally possible. So, no matter how much the candidates talk about wanting to help average Americans, they have no personal incentive to erase the U.S. tax code and start over again. That's a darn shame. The country would be better for it. 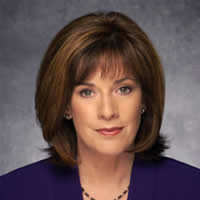 To find out more about Diane Dimond visit her website at www.dianedimond.com. To read features by other Creators Syndicate writers and cartoonists, visit the Creators Syndicate webpage at www.creators.com.